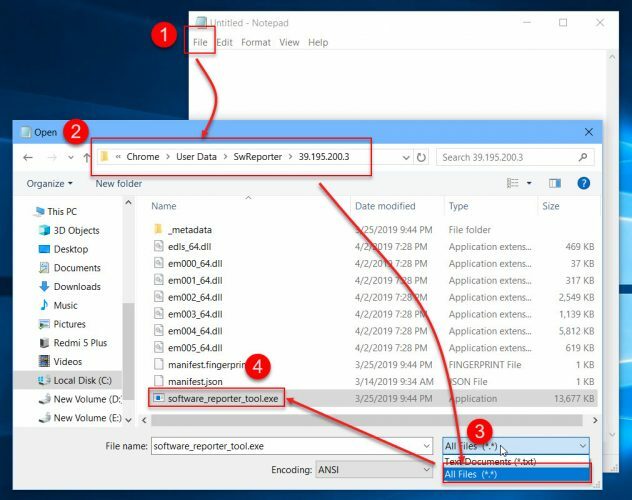 Google Chrome Software Reporter tool is a process which monitors Chrome installation and reports any malfunctioning or conflicting processes with the browser. It is a small executable installed along with Google Chrome. Although it is a useful tool, if it creates high CPU or power usage, it can be disabled or removed completely. This is what we are going to discuss in this article. But first, let’s understand what software reporter tool is, where it is located and if it’s safe or not. 1 What exactly is software reporter tool? 4 Software reporter tool high power or CPU usage on Windows 10? What exactly is software reporter tool? The Chrome Software Reporter tool comes pre-installed with Google Chrome browser. It is scheduled to run once a week (most probably with Google Update) and sends its results to Google. The resulting log consists of all the processes and programs which are interfering with Chrome’s browsing experience. The intention behind this is to limit or disable the processes or apps which conflict with Chrome’s user experience to make the browser’s working better. Please note that the version number bolded can be different for different versions of Software Reporter. 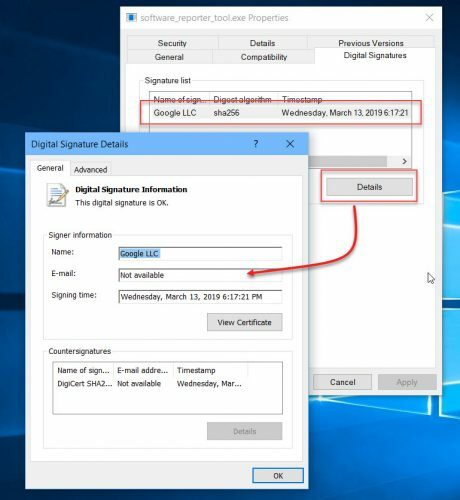 Under the Digital Signatures tab, Google LLC should be listed in the Signature list. Since the tool is from Google, we can be sure that it is a legitimate executable and will not harm our computer like viruses and malware. Software reporter tool high power or CPU usage on Windows 10? Although this tool runs once in a while, it can make the system slow by taking 100% processor usage and also taking high power usage. If the utility is running for 20 minutes, it will make your system very slow and unresponsive. Although it’s not a huge ask to wait for a few minutes to complete its processing, sometimes it becomes annoying. 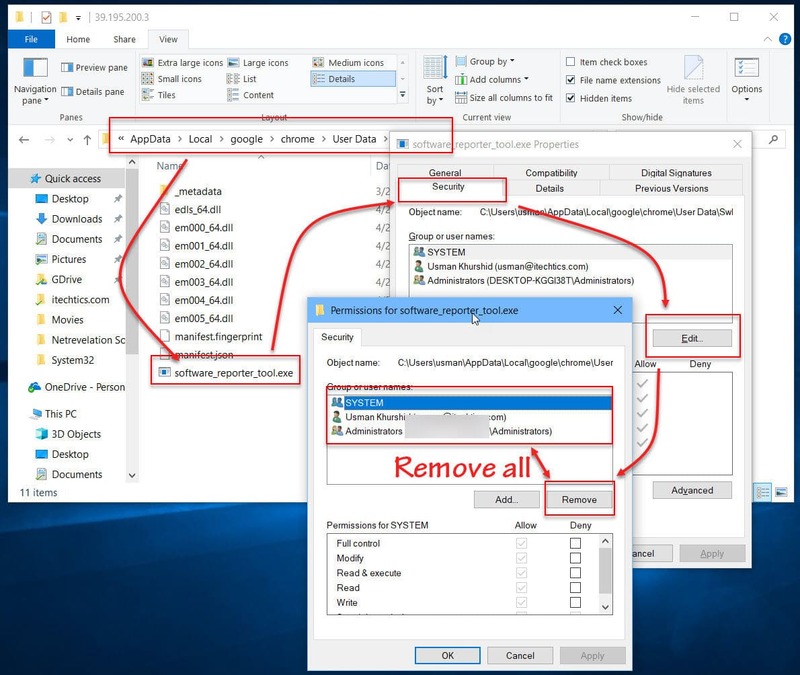 So here are some ways to disable or remove software reporter tool completely. Under the Security tab, click the Edit button and remove all groups and users from the list. If you can’t remove the permissions, just select Deny in the permissions list for all users. This will make sure the tool is not allowed to run automatically. 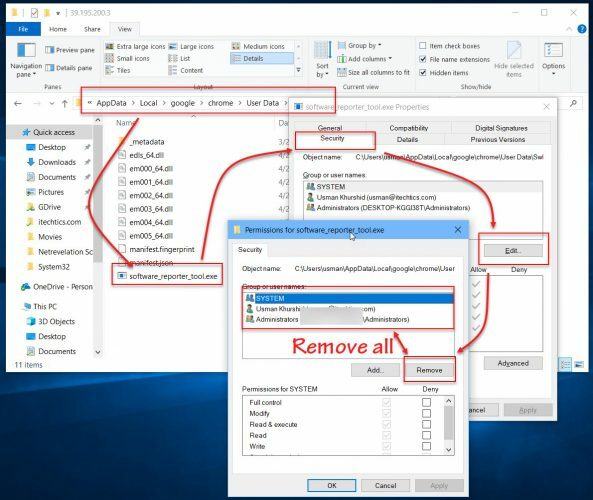 Another way of getting rid of this tool taking your CPU and power usage to crazy levels is to delete the executable itself. It will not hinder any operations of Google Chrome and the browser will keep on running fine. There will be no loss of data of any kind. But this is a temporary method as the executable will reappear when Chrome is updated to the next version. Open Notepad and click the Open menu. Select software_reporter_tool.exe from the list and click Open. Select All (Ctrl + A) and delete the contents of the file. This will make sure the software reporter will not run again on your computer. I, personally, will prefer to use the first method as it is permanent and will not hinder any system operations. You can revert the changes when you want to. Otherwise, just run Chrome update again and it will re-download and install the software reporter tool.